Alyssa graduated from the Occupational Therapy Assistant program at Trident Technical College here in Charleston with an Associate degree in Applied Science. 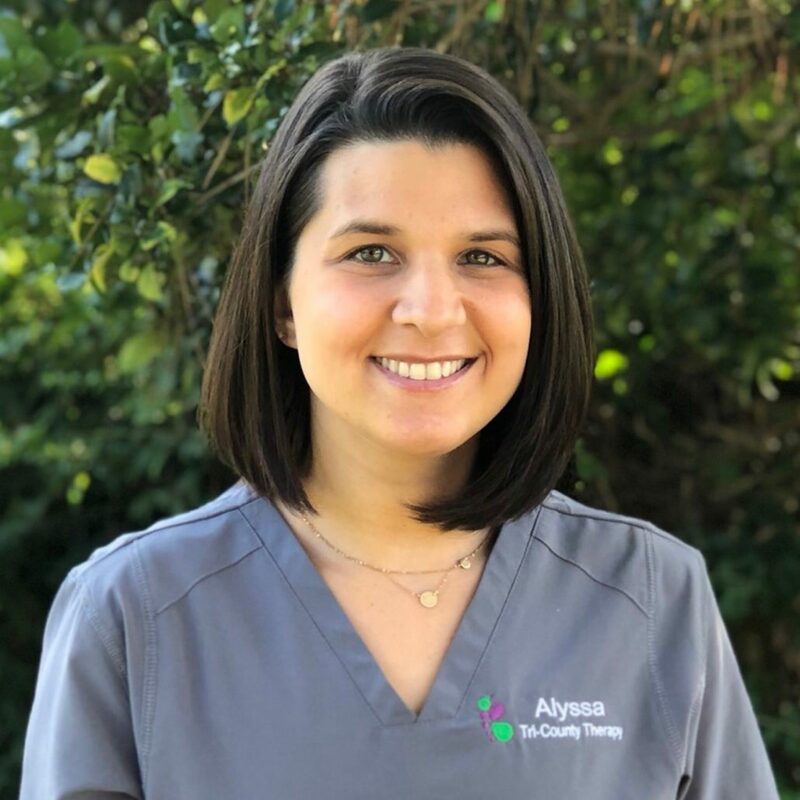 Since graduating in 2017, Alyssa has been enjoying treating families in a private pediatric clinical setting, and developing skills in specialized therapeutic techniques including sensory integration/sensory postural control, oral motor/feeding techniques and visual motor and visual perceptual training through extensive training and practice. After working as a nanny for multiple families with infants requiring therapies, Alyssa discovered a passion for helping children of all ages overcome developmental delays. Being a mother herself, she is focused on a client and family centered practice, including parental education to encourage the best possible outcomes. When not at work, you can find Alyssa enjoying time with her three greatest loves, her husband, Paul, and their two kids, Capri and Frankie. A New York native from a big Italian family, you can usually find us cooking, being loud and simply spending time together.